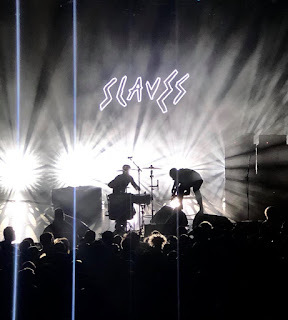 Self-proclaimed boy band Slaves have just released their stellar 3rd album "Acts of Fear and Love" which turned it up a notch for the punk duo. Taking it back to basics and just trying to create the sound that makes them so special, cutting it back to 9 tracks and ensuring that every single song could have been a single - throw in a song with a dance and the song of the year ("Photo Opportunity") and you have a top 10 album. The first support act was the acclaimed Willie J Healy, fresh on the heels of his latest EP 666 Kill, which I really enjoyed, a very simplistic and acoustic feel to the EP brought out the wholesomeness off Willie's voice. As he strutted on stage to the crowd chanting "We love you Willie" - which I don't think they had fully thought through - he clearly had a huge grin on his face. And what really shone throughout the set was his incredible guitar playing, honestly had no idea he was so adept with a guitar as it doesn't ever really take the forefront in his tunes. He did bolster up the set to get it louder though which sometimes worked and sometimes didn't. 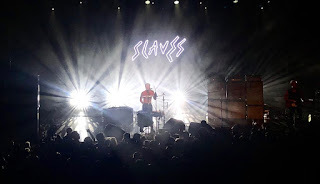 After Amyl & The Sniffers pulled out of their spot on the tour Lady Bird stepped into the big boots (pun intended) of the main support slot. Lady Bird were truly magnificent, proper punk that makes you grit your teeth and throw your head around. Halfway through their set I actually forgot that we were at a Slaves gig and began to believe that this was a Lady Bird gig, that's how excellent they really were! The songs from Social Potions really shone though, especially the self titled track which was always my least favourite on the EP but was truly magnificent on the night. However, it was a bit frustrating that I couldn't hear the keyboards because they weren't turned up enough but ultimately it took nothing away from how truly great they were. And then there was Slaves. My 6th time seeing them was probably the best. Isaac was on top comedic form in between songs and he just always tells the story behind "F**k The Hi-Hat" so perfectly that I could never tire of hearing it. And whilst it was more shouting than singing in places I think it only churned the atmosphere that little bit more. Starting with "Shutdown" was an expert move because if they didn't start adding it to setlists then I'm pretty sure the Dark Fruits drinkers would start rioting sooner or later, and Laurie's impression of the moaning woman in the middle of the song is pure genius. To say that this was a perfect performance is an actual insult to Slaves because there needs to be a category greater than perfection where we can slot this set into. 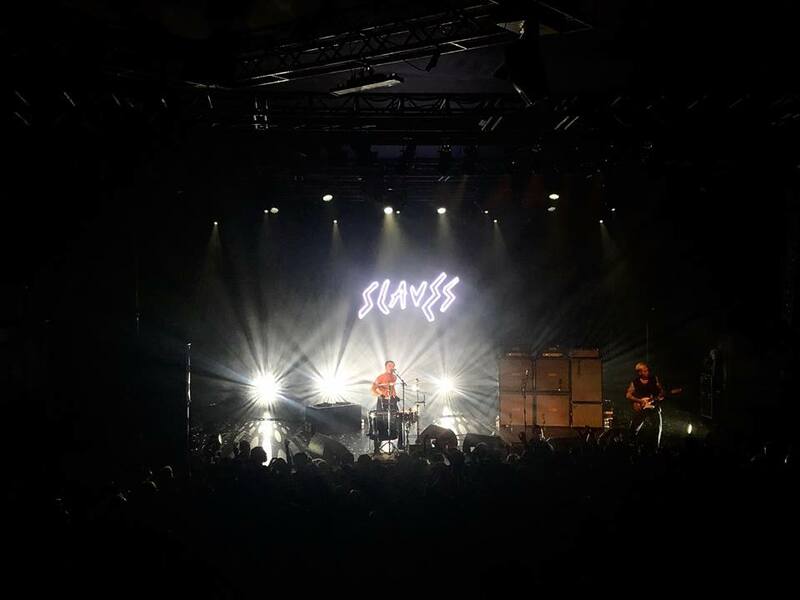 Slaves just keep raising the bar that other bands need to up their game to catch. No frills, no cheap thrills and no bullsh*t fake encore. Do your set, smash it and leave. The revolution against forced and planned encores starts right here.